hi there, i have two imacs and each has two users, one user for graphic work and the other user for music. i have it installed on the graphics user on both computers and its working like a charm but on both computers, in the music user i can't even open synergy. i even went and bought a second account but just can't figure out how to get it going on either of the second (music) users. Hi @ckomashko. On your initial installation, you should have been asked if you want it to be installed to work on all users or just the current user. What did you choose? hi paul, to be honest i don't remember seeing that question, i was doing a few things at the same time. but seeing that it's only installed on one i'd guess that's what i chose. What you can do then is to uninstall it first. Make sure they are not existing/shown using both log-ins. Then re-install it and make sure to choose install and be used by all of the users. i don't see a choice any where. when i download it i get a dmg file then when i open that i get a window with the synergy app and the applications folder to drag it into. once i do that when i open synergy it just opens and starts running, no questions asked. 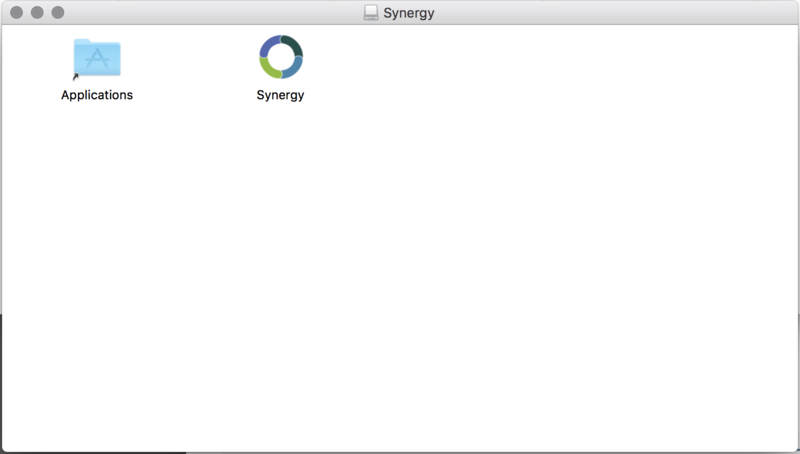 i also attached a capture of what the synergy app look like in the applications folder on the second user. Any application put into the Applications folder at the top level of the drive is usable by all accounts. In some cases, it may need to have registration details reentered when run from an administrator account. From a thread in Apple. i wish that was the case on my computers but that's not how it's working. so i made a third user and the same deal happened, when i opened the application folder from the root the icon for synergy was greyed out like the image i sent before. i also selected synergy and opened the info window and made sure that all users had read and write permissions, plus all my users are admin. i have never seen this before and i'm a very advanced user. Sorry to hear that @ckomashko. Have you had any updates with your OS lately? both computers are up to date, one is using os x 10.11.6 and the other is os x 11.12.5 and they are BOTH acting the exact same way. Can you try using v1.9 instead @ckomashko? You can get it from Download Synergy 1.9-rc3 (Fixes the macOS WiFi lag bug) forums thread. Great! You're welcome @ckomashko. Thanks for the update too.